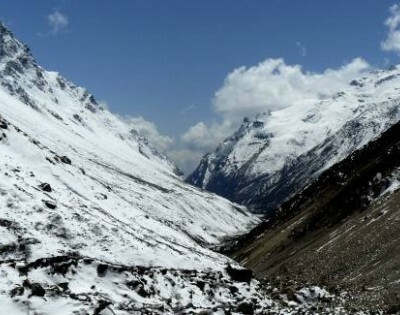 In the western region of Nepal is a beautiful area surrounding one of the tallest mountains in the world. The Annapurna Massif, which comprises one peak over 8,000 meters, is a splendid mountain range spread over 55 kilometers long. The highest peak within the massif is Annapurna I (8091m) which is the 10th highest mountain in the world. 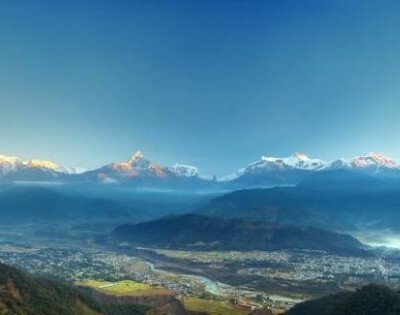 Bounded by the Kali Gandaki Gorge to the west, the Marsayangdi River to the north and east, and the gorgeous Pokhara Valley to the south, the region is also home to the incredible Annapurna Conservation Area. This conservation area is the largest in Nepal and is home to an incredible array of ecosystems. Annapurna Region does not only contain a wide variety of flora and fauna but is also home to many world-class treks. 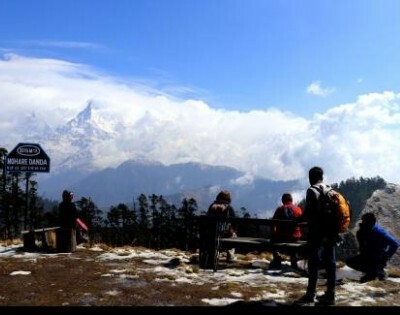 The Annapurna Sanctuary Trek and the Annapurna Circuit Trek are two such classics. 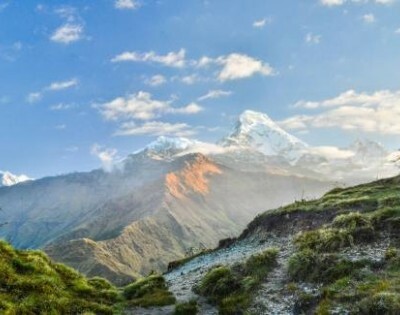 The Annapurna Circuit Trek rises through sub-tropical forests and paddy fields to the alpine region at its highest point in Thorung La Pass (5416m). 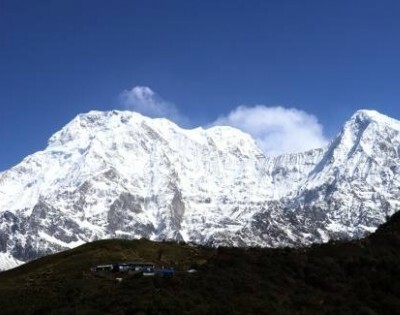 Major Himalayan peaks are on display, including Annapurna I-IV, Dhaulagiri (8167m), Machhapuchhre (6997m), Gangapurna (7457m), Tilicho Peak (7134m), and Pisang Peak (6091m). The trek can run anywhere from 160 km to 230 km depending on what combination of trekking and motor transportation is used. 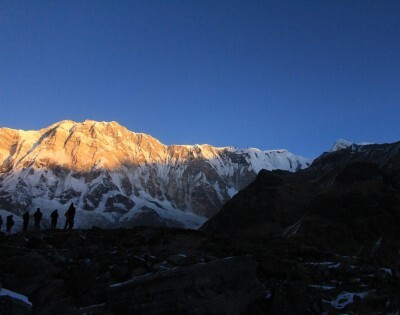 The Annapurna Sanctuary Trek is also referred to as the Annapurna Base Camp Trek. 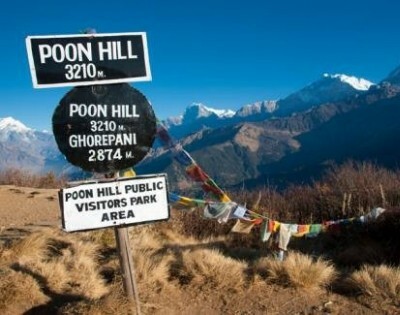 It is called such because the trek culminates at the base camp used for summiting Annapurna I (8091m) which lies within the Annapurna Sanctuary. 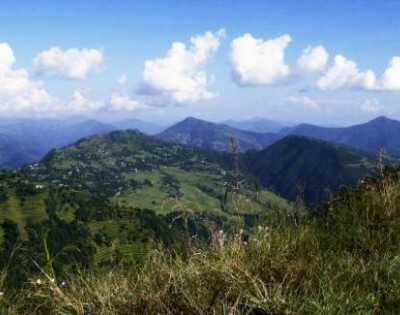 This area is a high glacial basin situated north of Pokhara, comprised of many traditional settlements of the Gurung ethnics. Surrounding this basin is a ring of gorgeous snowy peaks, most of which rise to over 7000 meters. With a host of wild and remote landscapes and cultural treasure, this region is an extraordinary place to visit.